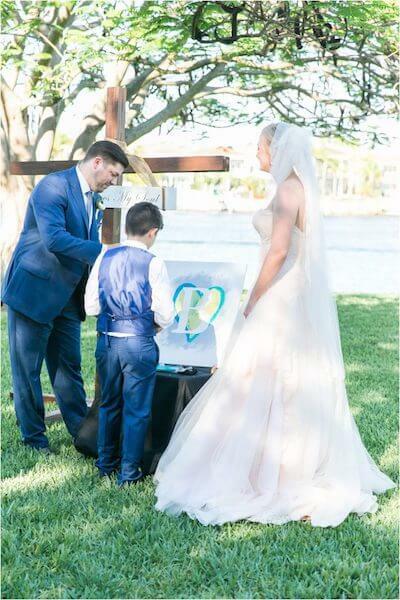 Our Special Moments Event Planning team really enjoyed working with Alyssa and Kris on this very elegant, personalized wedding. 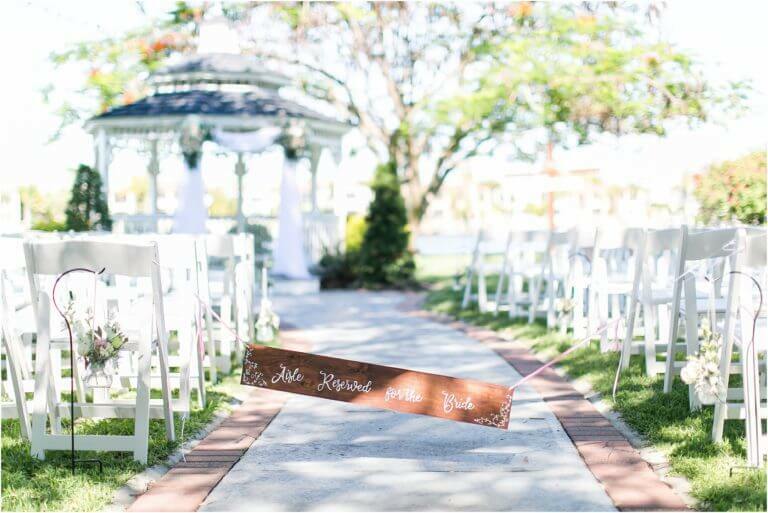 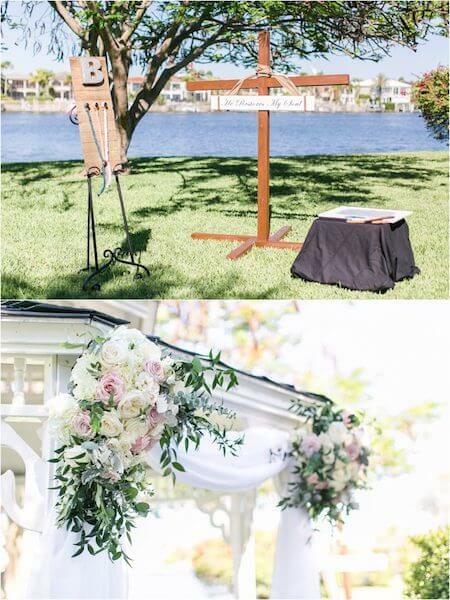 Davis Islands Garden Club set the perfect stage for this outdoor Tampa Bay wedding ceremony. 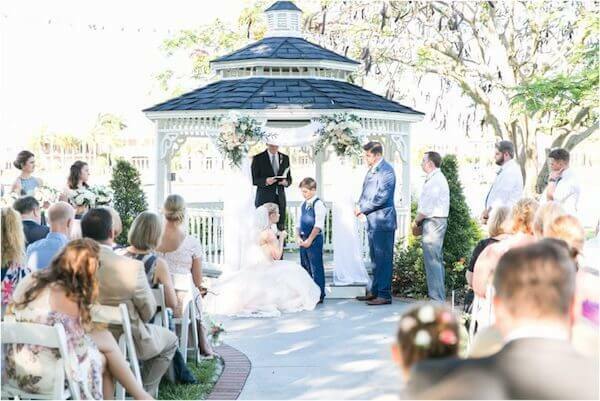 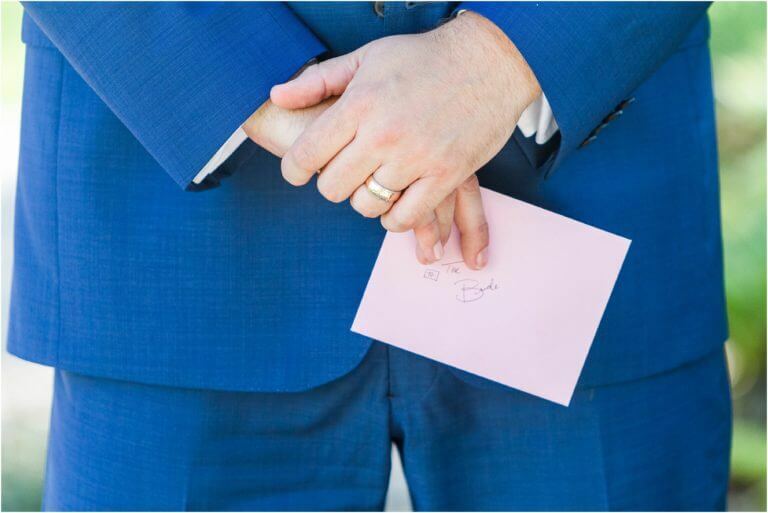 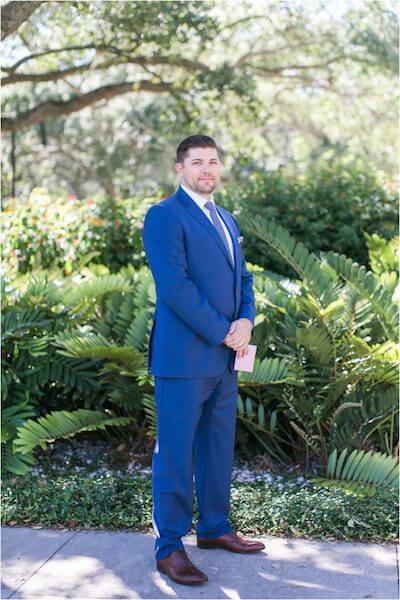 Located at the edge of the Seddon Channel, where the Hillsborough River flows into Tampa Bay, wedding guests had a wonderful view of the waterfront and the homes of Harbour Island. 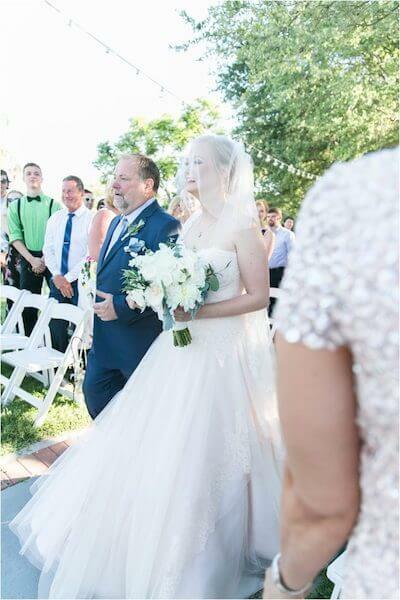 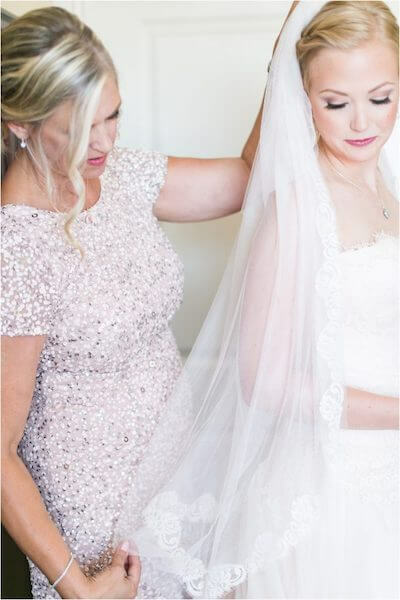 Her mother created the beautiful veil to compliment Alyssa’s blush wedding gown. 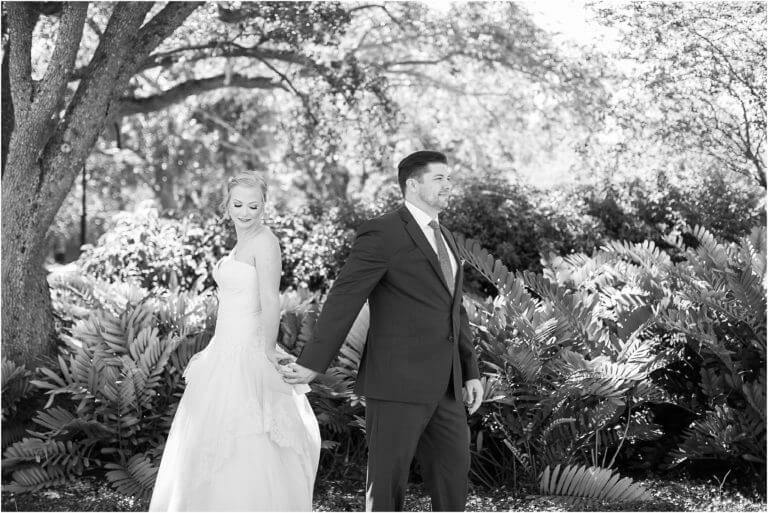 Her white, hand tied bridal bouquet popped against the soft pink background. 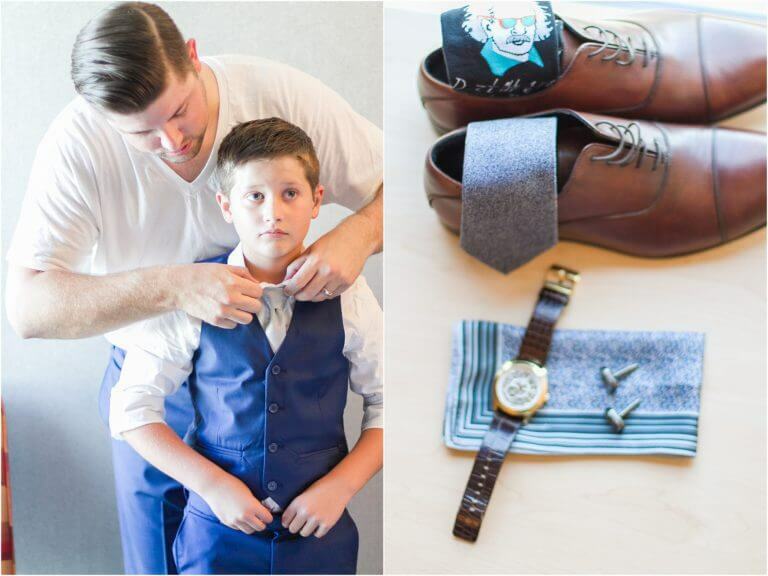 The gentlemen looked sharp in their blue suits with Kris and the groomsmen wearing fun interesting socks. 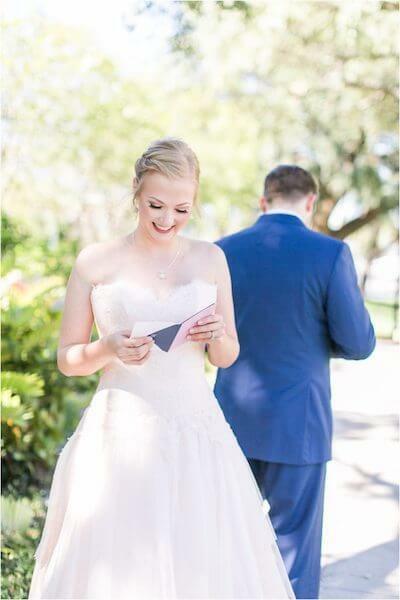 The couple exchanged notes with one another before having their first look. 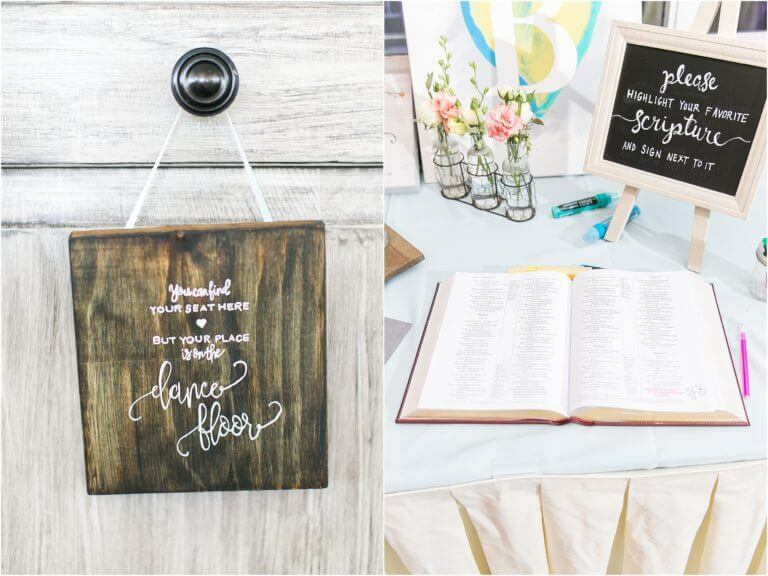 Alyssa and her mother created the wooden signage, cross and wedding favors; all beautiful, personal touches. 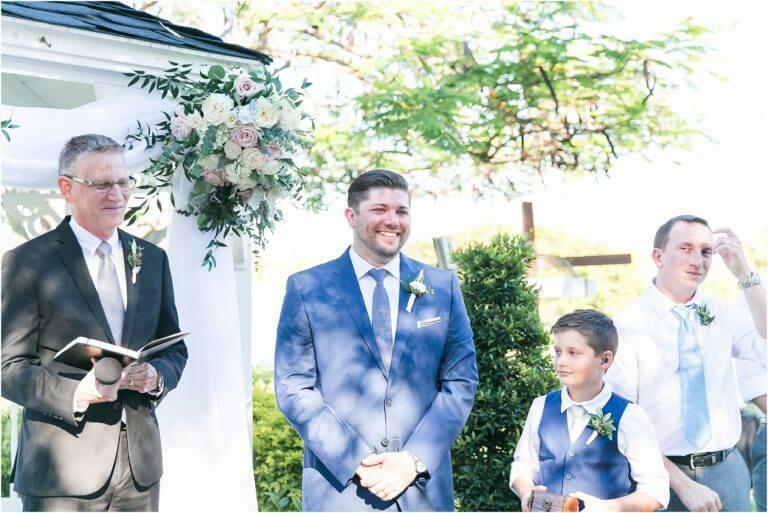 In an intimate and very personal waterfront wedding ceremony, the couple exchanged their wedding vow under a white wood gazebo, swagged with fabric and decorated with lush floral arrangements. 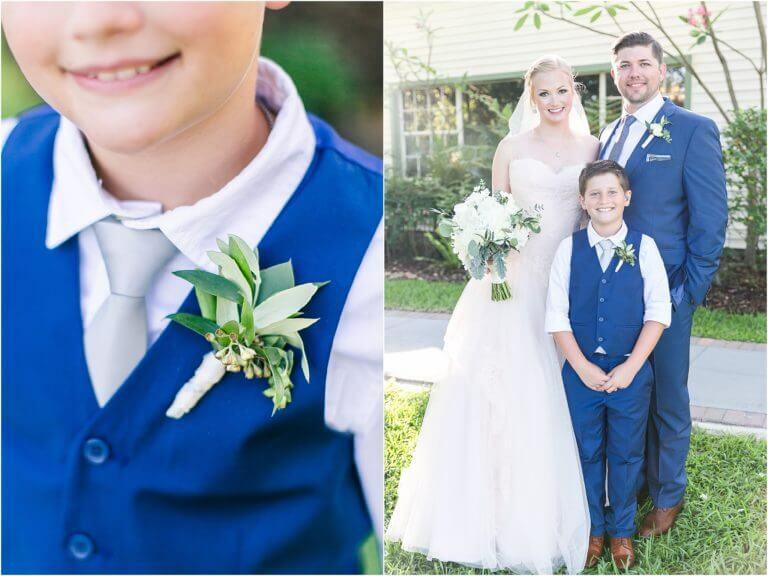 Alyssa gained a husband and a son, Kris gained a wife, and Tristan gained a stepmom! 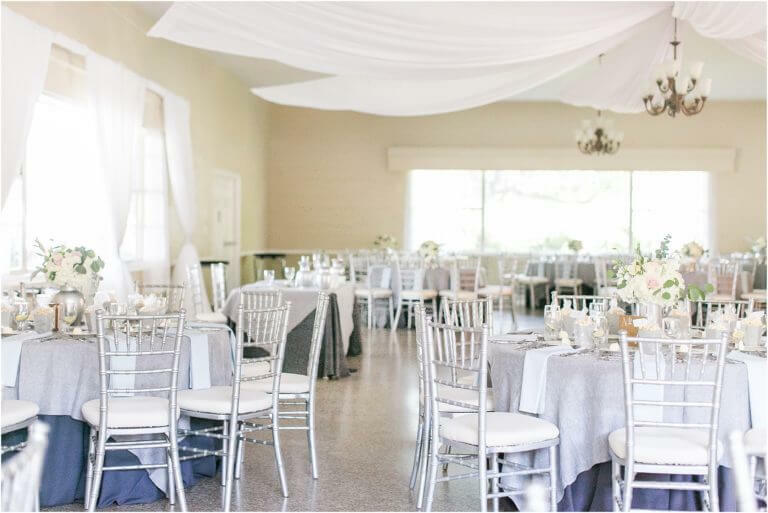 The reception that followed incorporated white, soft silver grey and blush tones. 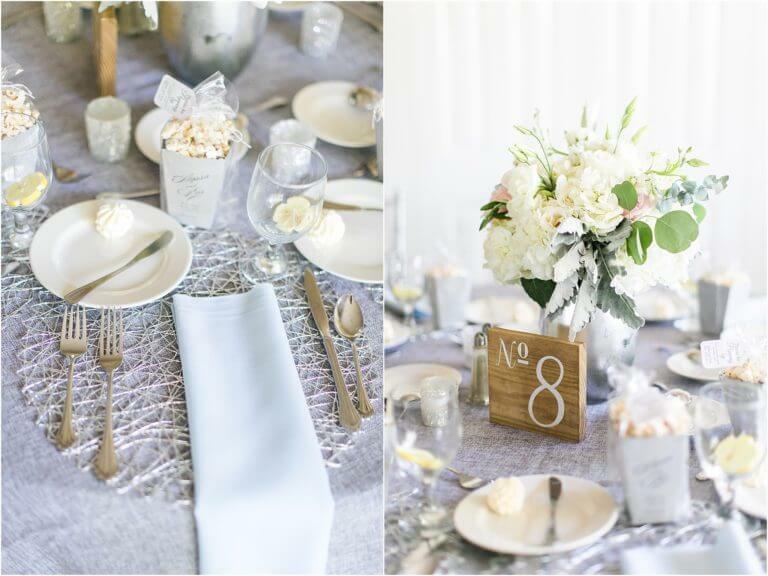 Incorporated into the décor were unique chargers, soft grey napkins, white centerpieces with touches of dusty miller in silver containers and rustic wooden table numbers; all under a canopy of flowing white draping. 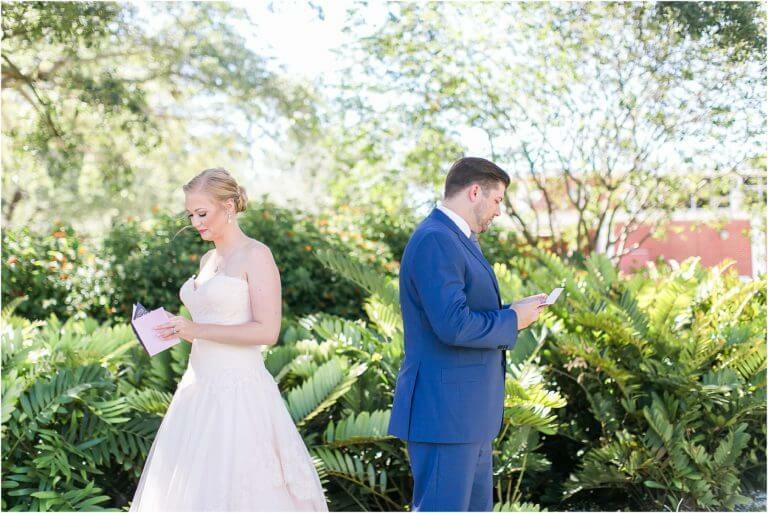 In lieu of a traditional guest book, the couple chose to have guests highlight their favorite scripture, signing next to the verse. 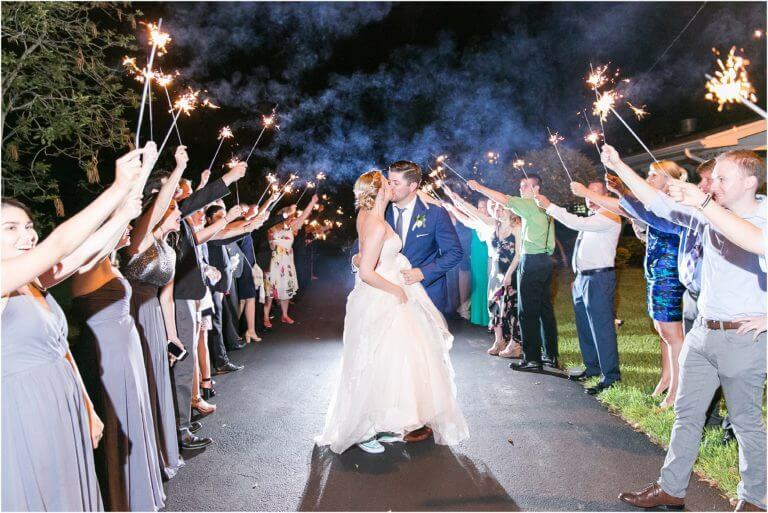 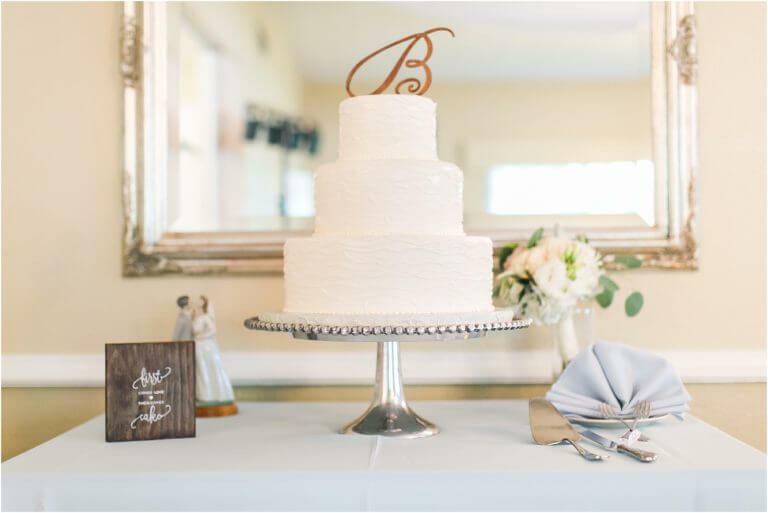 Guests danced and had the time of their lives, enjoying a simple, three-tiered wedding cake with textured buttercream; ending the evening by sending the couple off under a shower of sparklers. 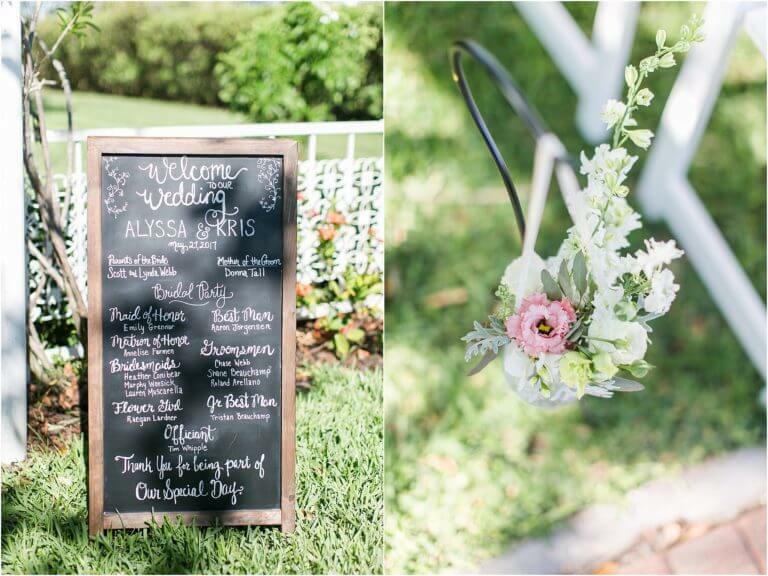 Congratulations Alyssa, Kris, and Tristan! 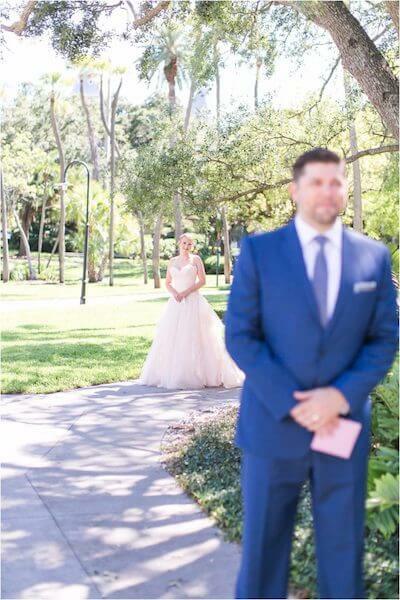 We wish you a lifetime of happiness. 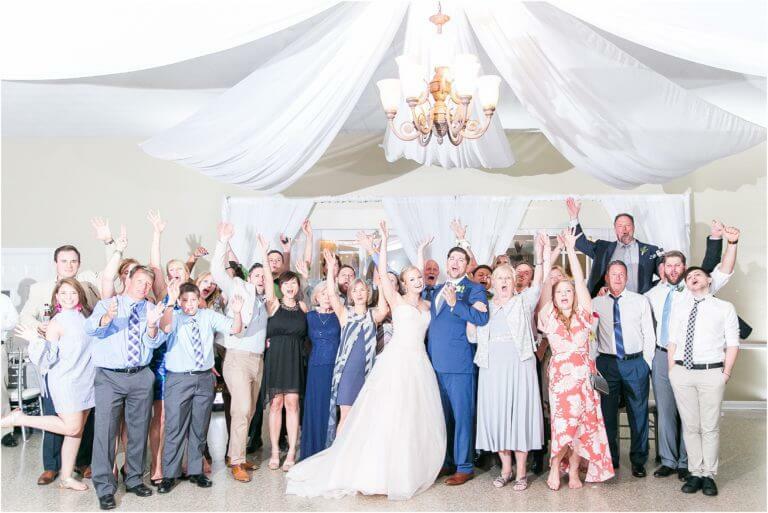 Thank you to the vendors who made this day so amazing.